What’s happenin’ to the Sunset Cliffs’ benches? SUNSET CLIFFS, CA. Benches that citizens have put up along the cliffs at Sunset Cliffs are disappearing. 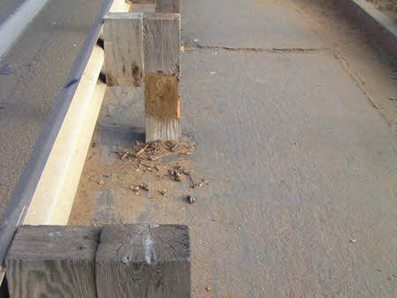 It has been reported by MSNBC that several benches attached to the guardrail along the scenic boulevard have been possibly removed by the City of San Diego for liability reasons. Reportedly, Councilmember Kevin Faulconer’s office has been flooded with requests for information on the missing benches. The MSNBC article quotes a third party reporting that a member of the City’s risk management stated that the benches were a liability for the city in that someone could be injured while sitting on them if a vehicle hit the guardrail. This determination by the city at this junction in time after the benches – some of them at least being in place for decades – is a strange act. How much was spent by the city in having them removed? I thought we had a budget crisis going on. Yet there’s money to remove benches that the city was not maintaining. decades ago. The benches first appeared in the late 1970s. There were none along the Cliffs in the late sixties, I can attest to that. It was rumored and assumed that surfers put them up over the years so they could have a place to view the waves. As time went on, a few more went up. At least one of them had the shape of a surfboard. The point is – that locals, surfers, citizens – built them and placed them without the City’s permission. A sort of self-help attitude – commonly displaced by beach and surf people. Now, if all this confirmed, the city is taking them out – for liability reasons. Have a problem with this, call Faulconer’s office, leave a comment, send us a rant, – remember the Cliffs are not formally part of Ocean Beach a block south of Point Loma Blvd – but part of Point Loma. The OB Rag blog hopes to have an update on this issue early Friday May 15th. Newer Article: Something stinks at Wholefoods: Union Busting in Hippie Clothing?